Marketing Arts understands that advertising “as we know it, is over”. Things evolve, change and communications, also do so, since it is The Way to reach people. Transformation, choice, new context, growth, diversity, alternatives, openness to change has made people and therefore advertising to reshape itself. The need for new insights on patterns of purchase, of understanding new ways of thinking, accepting windows of opportunities, integration is happening in today’s culture. This is exactly the feel of Marketing Arts, this is why we are designing the 21st century advertising. 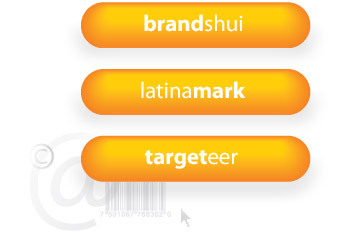 We have developed brandshui, targeteer and latinamark as part of our innovation perspective in the communications of this new millenium. Copyright © 2008 Marketing Arts, Inc. All rights reserved.